Join over 2 million followers! Ramadan is a holy month of fasting from food and water during sunlight hours. But there are actually strong health benefits associated with this type of fasting if done right. 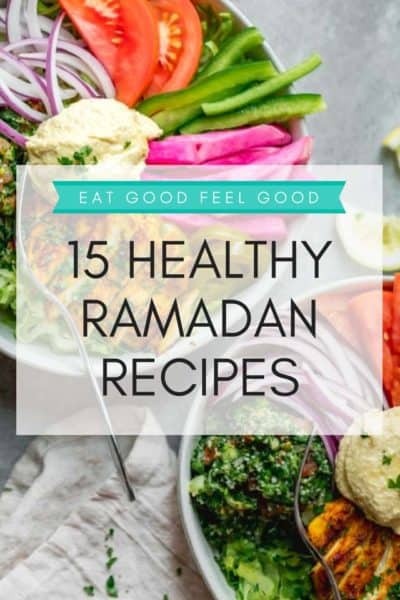 Learn more about how to honor this month, stay energized, and cook some of my top healthy Ramadan recipes this year. Ramadan Mubarek! Ramadan is the ninth month in the Islamic calendar. During this holy month, Muslims fast and abstain from food and water during sunlight hours. We do this every day for 30 days. Today is the first day. I’m excited but tired already. Fasting helps to cleanse the soul, teach self-discipline and empathy for those less fortunate, and encourage acts of generosity. There’s so much more on this topic online. And I can provide more amazing resources if anyone’s interested. I want to focus on the health aspects and Ramadan recipes today. What are the health benefits of fasting? One of the immediate effects of fasting is lowered blood sugar. And that can also result in lower cholesterol and lower blood pressure. All that means better cardiovascular health! Not eating or drinking during the day is a great way to detoxify your body. It gives your digestive system a chance to cleanse itself. I’m always surprised by how little food I actually need to feel full when I break my fast. During the month, many people notice an appetite reduction. That’s so important because it can help you restructure your relationship with food, and limit overindulgence. By skipping meals during the day, your metabolism may become more efficient. We’re giving our digestive system a break. That makes it more efficient. And that means it can better more nutrients in the food we eat. How do you stay healthy during Ramadan? Wake up for ‘Suhoor.’ This is the meal eaten before dawn. It can help you get more nutrients in your body. Make sure each of the two meals includes complex carbs, high fiber food and protein rich foods. 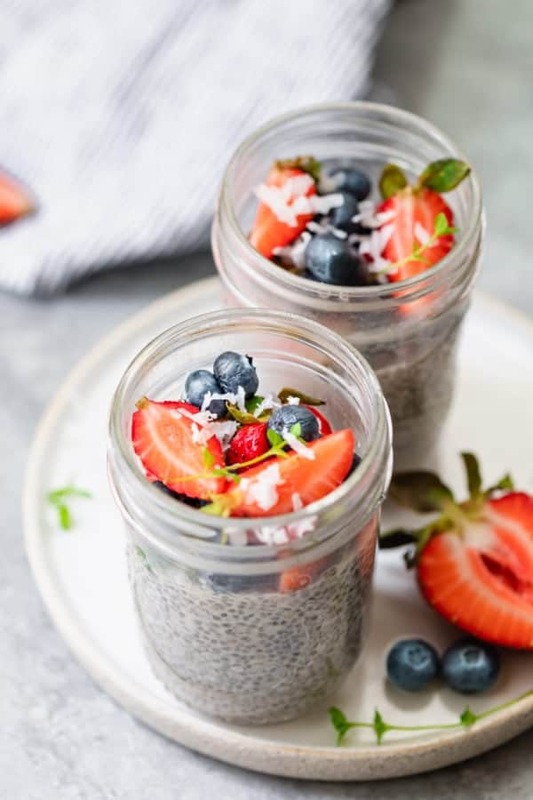 These well-balanced meals will help you replenish energy. Drink plenty of fluids. You can also do this by eating water-dense fruits or soups. The goal is to consume the equivalent of 8 cups of water to avoid dehydration. I know it’s hard, but try to limit the caffeine, which can stimulate water loss. Cut down on processed foods and those with refined carbs such as sugar and white flour. They don’t have much nutrients and will not give you the energy and nutrition your body is craving. Break your fast with dates and water. An average serving of dates has 31 grams of carbs. That will give you the right amount of energy after a long day of fasting. They have high levels of fiber for digestion, and are packed with potassium, magnesium and Vitamin B. I buy a large container and eat 2-3 every day. One of my favorite Ramadan recipes is one that my mom literally makes every single day during the month. It’s a Fattoush Salad that is made with simple fresh vegetables and toasted Pita bread and tossed in a zesty sumac Mediterranean dressing! 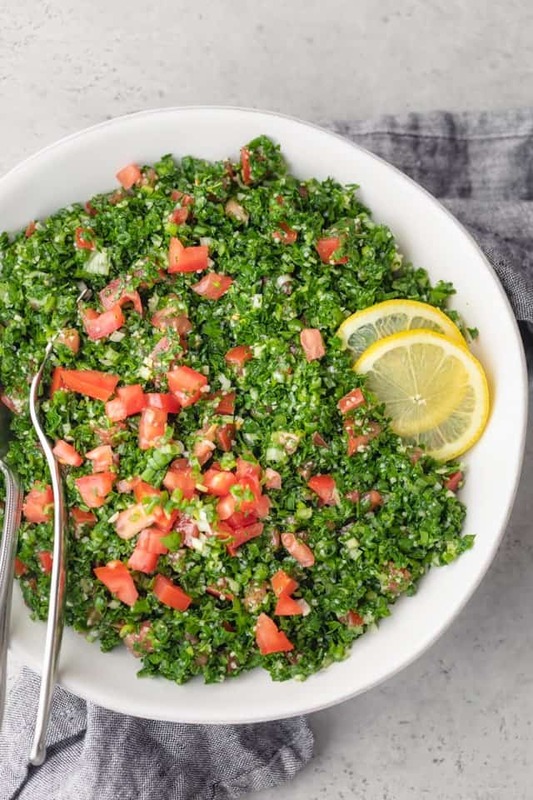 This authentic Lebanese Fattoush Salad is made with simple fresh vegetables and fried pita bread all tossed in a zesty sumac Mediterranean dressing! This Crushed Lentil Soup is one of my all-time favorite soup recipes and top Ramadan recipes. I actually love to make it all year long. 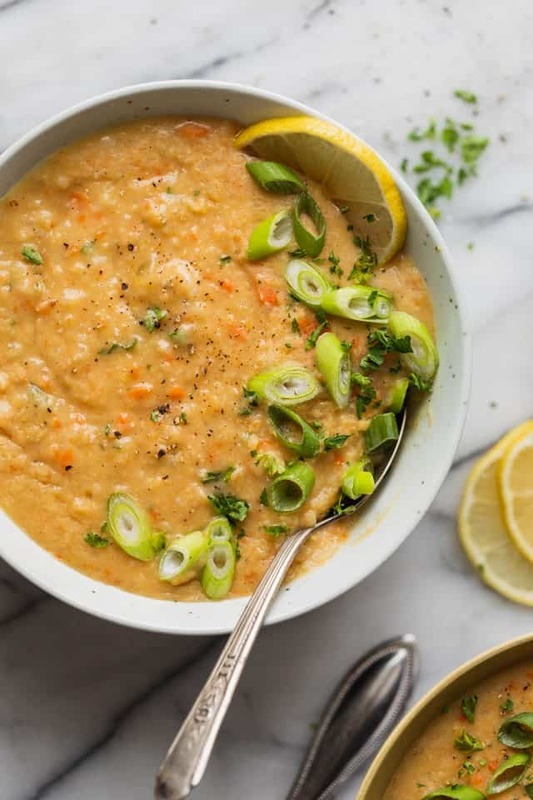 It’s made with red lentils, short-grain rice, onions, carrots, and cumin and topped with the tangy taste of freshly squeezed lemon juice – comforting, delicious and healthy! This Vegetarian Lemon Rice Soup recipe is a warm comforting but also nutrition-rich meal you’ll love. It’s loaded with vegetables like onions, carrots, celery and zucchini with a small serving of short grain rice and a fresh lemony taste! It uses simple everyday ingredients and it’s an easy recipe you can make anytime. 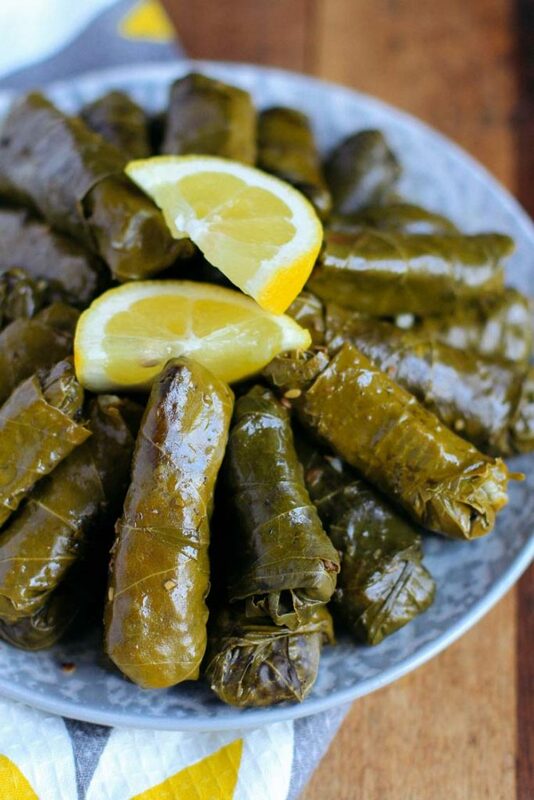 My Stuffed Grape Leaves (Warak Arish) recipe is made with a spiced ground beef and rice mixture – a delicious Mediterranean dish commonly served as an appetizer! 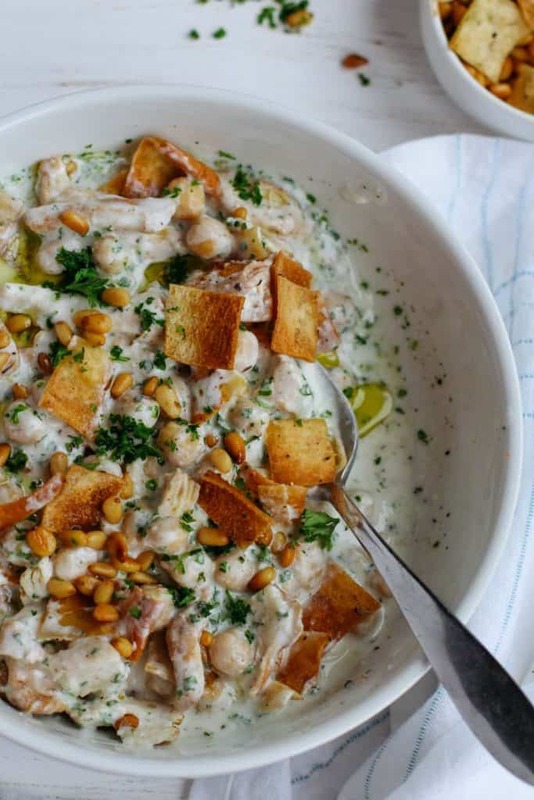 This authentic Chicken Fatteh is an amazing combo of flavors made with yogurt, spiced shredded chicken, chickpeas, toasted pine nuts & pita bread! It is a traditional recipe that I learned from my parents. You can customize it to omit items or add/decrease others. It’s high in protein and low in effort! 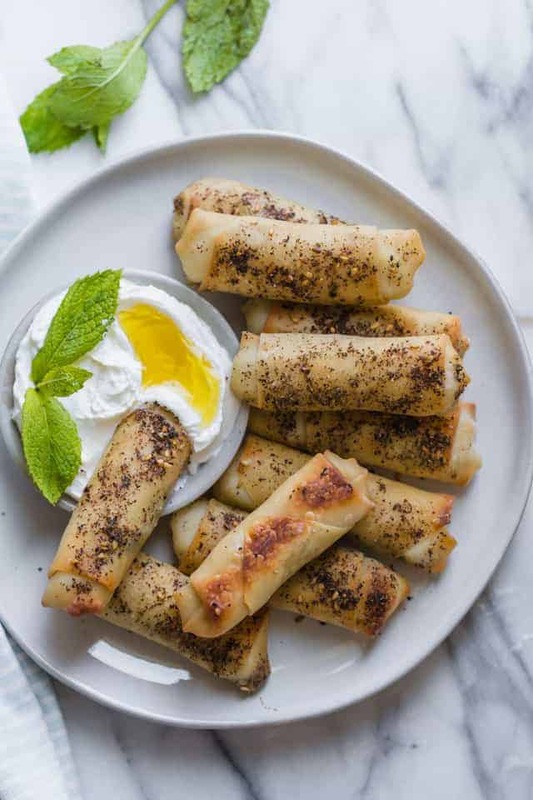 This Zaatar Spring Rolls (Sambousek) recipe is a Lebanese inspired appetizer that’s savory, crunchy and incredibly easy to make! 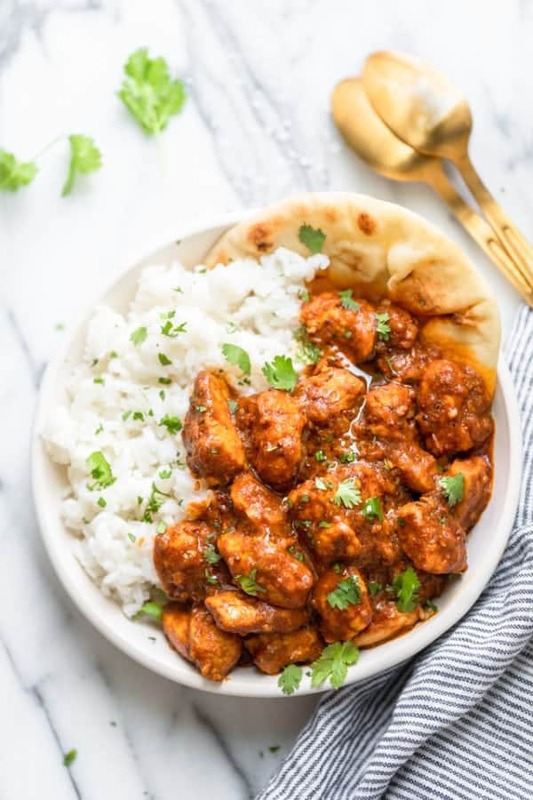 It’s easily one of my favorite Ramadan recipes! They are oven-baked and have a similar texture and flavor to Middle Eastern cheese sambousek. Sambousek are small cheese-filled pastries that are traditionally fried. This is my modern twist on a recipe I grew with! 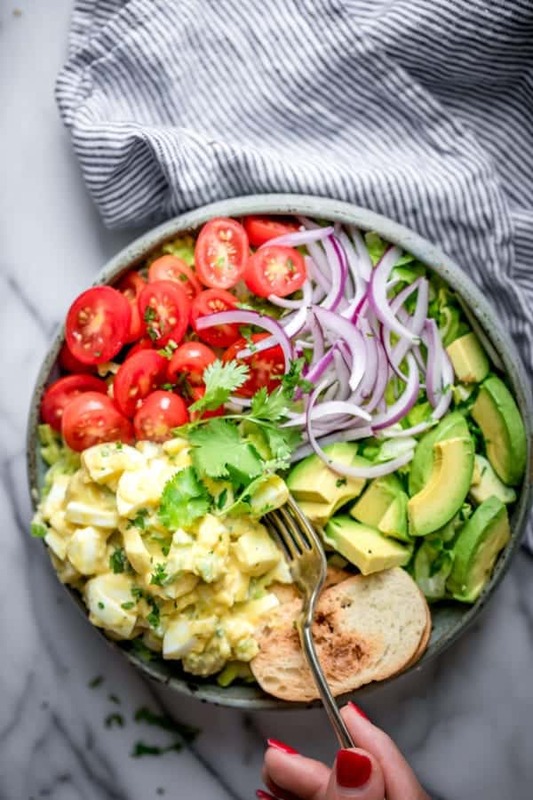 This Chicken Shawarma Salad is LOADED with Lebanese ingredients traditionally found in a shawarma sandwich, (minus the pita) – grilled chicken smothered in shawarma spices, lettuce, tabbouleh, onions, tomatoes, green peppers, turnips, banana peppers and hummus – it’s low-carb, high protein and the perfect meal! Halloumi Fries is my Lebanese take on mozzarella sticks, using halloumi cheese instead! These halloumi fries are made by rolling the cheese in flour, panko breadcrumbs and sesame seeds. Then, instead of frying them, I baked them in the oven until golden and crispy. I paired them with a simple and bright marinara sauce for dipping – a fun Mediterranean appetizer! A classic hummus recipe is always great to include during Ramadan meals. 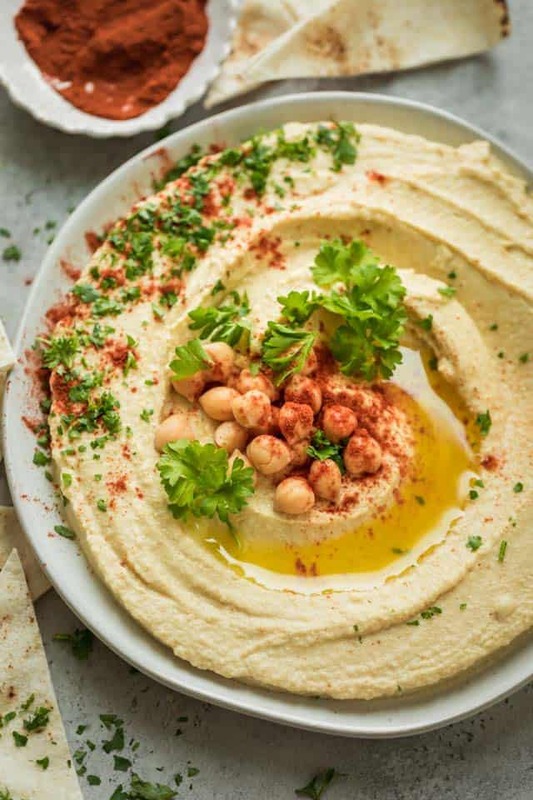 For me, this is the Best Hummus Recipe – it’s simple and classic with the right balance of flavors. In this post I share my 4 tips for making smooth, creamy and ultra rich hummus. My Hummus with Ground Beef is a recipe I learned from my parents. 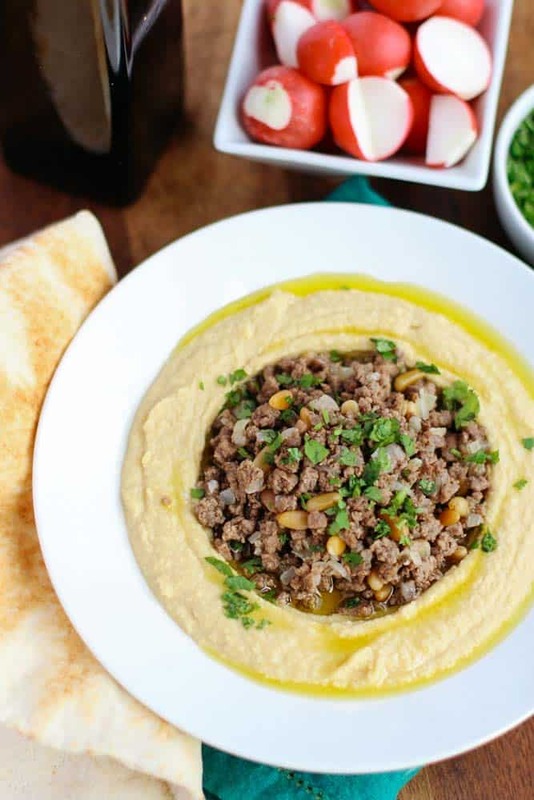 It’s based on a simple and authentic hummus recipe and topped with ground beef, pine nuts, and parsley! 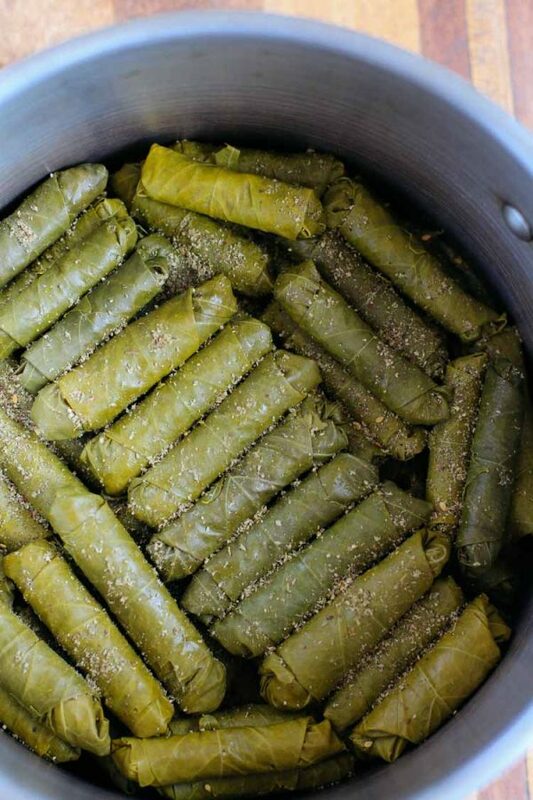 Enjoy it with a drizzle of extra virgin olive oil and Lebanese style pita bread! For a hearty meal the whole family will enjoy, try my Tomato Beef Stew. It’s a nutritious Arabic recipe with robust flavors of cilantro, garlic and sauteed onions. It’s a staple in house. I make a variation of this stew every 7 to 10 days! This Almond Milk Rice Pudding is an easy Middle-Eastern dessert recipe that is dairy-free, egg-free and gluten-free. It’s a healthy take on a recipe that I grew up eating! The best part is you can enjoy this hot or cold, eat it for breakfast or for dessert and add to it any toppings you’d like! These Chocolate Chip Tahini Cookies have a modern twist by swapping half the butter in traditional chocolate chip cookies with tahini. Tahini is a sesame seed paste popular in Middle Eastern cooking. It adds a slight savory taste to the cookies similar to adding sea salt and makes them so flavorful and irresistible. And when you need an energy-boost for suhoor or at iftar, try my recipe for Golden Milk Turmeric Latte! It’s a cozy delicious alternative to plain coffee or lattes, that is packed with all kinds of health benefits. It’s one of my favorite Ramadan recipes. Why? It’s loaded with anti-oxidants and has anti-inflammatory and anti-depressant benefits. Basically, it’s like drinking liquid sunshine! So happy to find this article. Ramadan in Indonesia is usually a whole month of sugary treats and sweet dishes. I try to stick to healthy menus during Ramadan but by the 15th I am always out of ideas (lol!) so this is very helpful for me. Thank you so much, Yumna. Happy Ramadan to you and your family! H Lully, I’m so glad to hear that you found this article helpful! I’ll actually be adding more great Ramadan recipes throughout the month, so stay tuned! Happy Ramadan! Really interesting article !!! I’ll definitely try a lot of the receipt that you proposed ! Thanks so much and I’m really glad you found it educational! Ramadan Mubarek! Ramadan Mubarak Yumna to you and the family from Australia. Ramadan Mubarek to you too! Can you send me a screenshot of the error message you’re getting? It should allow everyone to sign up! Yay! So happy to hear that! Happy Ramadan! Copyright © 2019 Feel Good Foodie. All Rights Reserved.